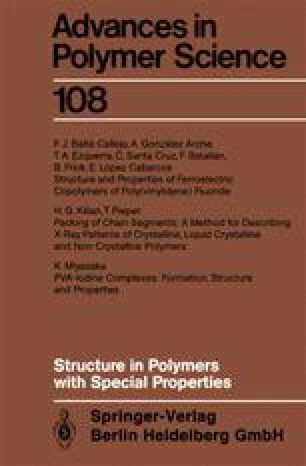 The PVA-Iodine complexes formed in PVA films soaked in iodine-KI aqueous solutions without boric acid are studied from the structural point of view. First, iodine soaking at comparatively low iodine concentrations is studied where iodine sorption takes place mostly in the amorphous phase. There, our interest is concentrated on the following problems: What happens in PVA films during iodine soaking? How does the solid structure of PVA films affect the formation and properties of the complex? How does the chain extension affect the complex formation and properties? What is the structure of the complex formed in the amorphous phase? Then iodine soaking at high iodine concentrations is studied where iodine sorption takes place in the crystal phase as well as in the amorphous phase.